#SeizeTheSummer and Win a Trip for 3 to Bali, Indonesia! New AMW readers probably do not know that I used to be a Vaseline Girl and I still am! Several years ago, one of my biggest project as a blogger was Vaseline Road Trip of A Lifetime, you can read more about my entries HERE. That's why when I got an invite for a launch of Vaseline Healthy White's newest product, I had to clear up my schedule and go! Seriously, this brand is dear to my heart not only because they made me a Vaseline girl in the past, but I actually used Healthy White and finished up Nth number of tubes! At the launch, I was greeted with this table set up...ahh Summer is definitely here! The star product was there, up close and I gave it a test right away! Thank Lord they didn't change the scent! The scent brought me back to so much good memories! As for the texture, I am already a fan of Vaseline Healthy White Lotion as it is lightweight and gets easily absorbed into the skin without the greasy feel! With the serum, it feels even lighter and the absorption is quicker! I'm not sure if it's because I'm staying in an air-conditioned room, it gives a cooling sensation upon application. And let's not forget the SPF30 is still there! Aside from getting to know the new product from Healthy White range, a surprise was announced to all attendees and..to everyone! Including YOU! 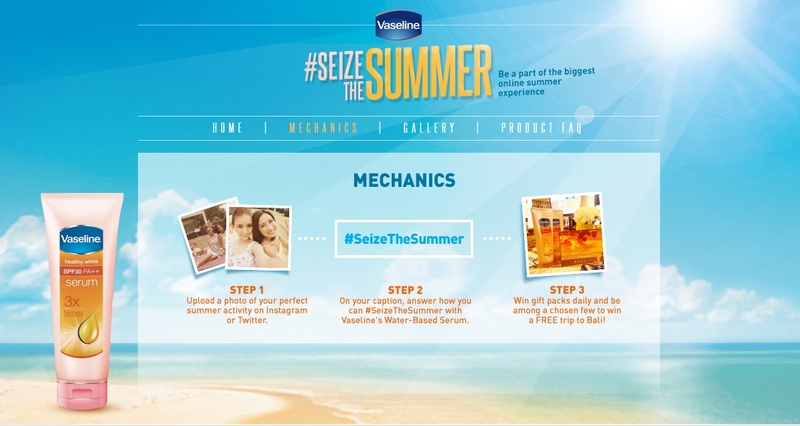 Be part of the biggest online summer experience with Vaseline called #SeizeTheSummer ! Get a chance to win a trip to Bali, Indonesia! Please don't forget to include hashtag #AMWSeizeTheSummer so I can take a look at your entry! For your entry to count, you must tag @VaselinePH and use the hashtag #SeizeTheSummer. Post your photo Both on Instagram and Twitter. 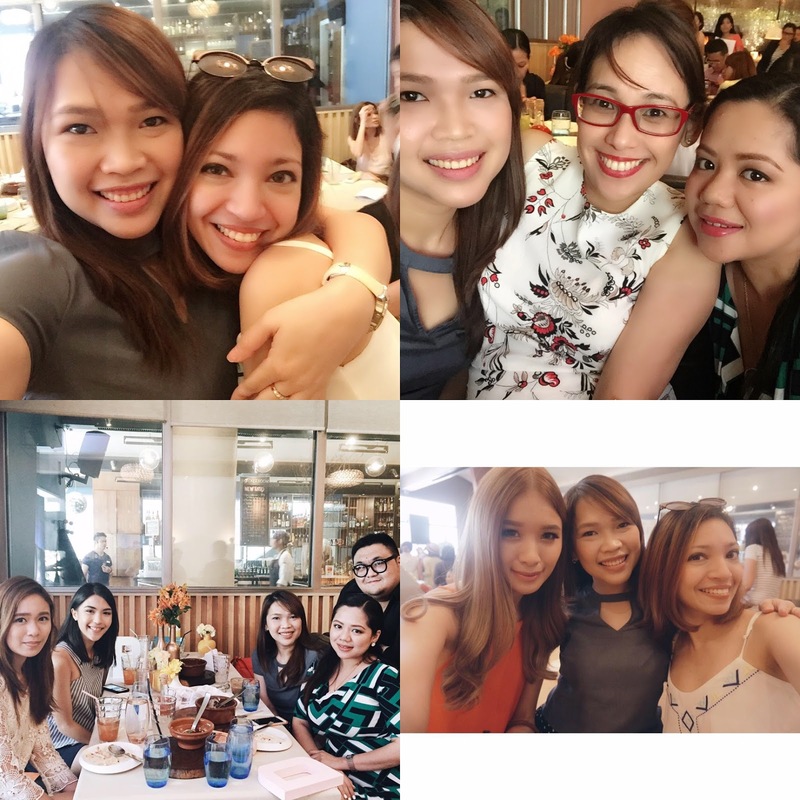 The Vaseline Summer Mavens Laureen Uy and Tricia Gosingtian will each choose one winner who will win a trip for two to Bali, Indonesia. The Bali Trip for the lucky winners will take place on April 10-14! Let me know if you're joining!